Two amazing pieces of Black History for the world of professional wrestling? This is amazing. After Naomi's historic Women's Title win, we now get word that Teddy Long, the legendary manager who helped guide the careers of D'Lo Brown, Johnny B. Badd, Mark Callous, Mark Henry, Doom, Ice Train, and many others will be entering the WWE Hall of Fame, class of 2017. Long spent over 30 years in the professional wrestling industry, starting out as a ref down in Jim Crockett Promotions. I remember him shifting into the position of manager, taking control of Ron Simmons and Butch Reed after Woman left. At the time, Long was rocking du-rags and went by the horrible nickname "Peanuthead," but he was also instrumental in Doom's beef with the Four Horsemen. He even managed the likes of Chris Jericho before ultimately jumping ship to the WWE in '98, which saw him taking hold of a stable of black superstars under his Thuggin' and Buggin' Enterprises stable, featuring everyone from the aforementioned Brown and Henry to Rodney Mack and Jazz. Modern fans will remember him mostly for his role as General Manager of SmackDown, which started in 2004. he was mostly known for making damn near every feud into a tag team match, which ended up being a joke that will never die. 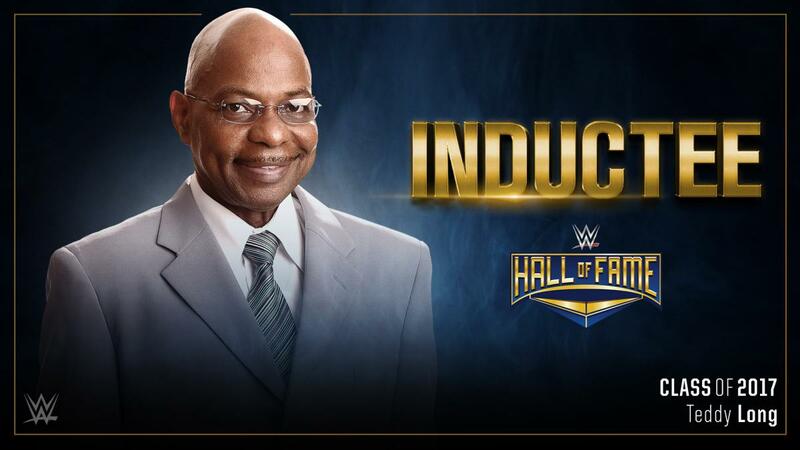 Either way, we salute you, Teddy Long. You are lowkey one of the best managers I've ever seen do the damn thing, and this is truly long overdue. Check out Fox Sports' conversation with Long about this historic announcement.